Mussels are another creature that has an interesting skill: the ability to stick to surfaces underwater. They use glue-like secretions to attach loosely via silk-like fibres to wave-washed rocks and each other, allowing them to drift and absorb nutrients from the water, while remaining anchored and "safe in numbers." Scientists have studied these secretions and reproduced their molecular structure to develop the first synthetic wet adhesives and coatings. 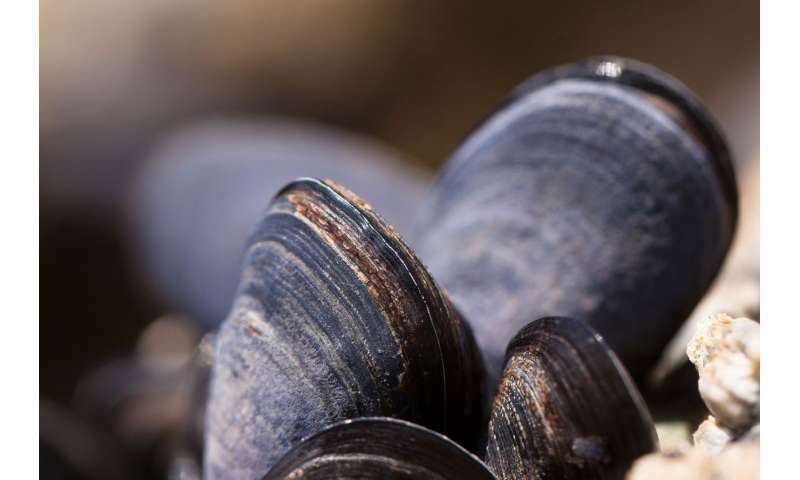 Meanwhile in medicine, strong yet non-toxic synthetic glues based on mussel foot proteins could be used as adhesives in stitchless surgery and other wound repair. The organic compound responsible, catechol, can also be used in the preparation of nanoparticles for use in more effective drug delivery systems. Indeed, the ICN2 Nanostructured Functional Materials or "NanosFun" Group is currently working on mussel-inspired coatings for nanoparticles to enhance drug transport across the blood brain barrier and establish new therapeutic approaches to neurodegenerative diseases like Alzheimer's. Led by Dr. Daniel Ruiz-Molina, the group is devoted to exploring chemical routes to novel molecular nanostructures with properties inspired by nature and smart responses to external stimuli, with Dr. Josep Sedó Vegara heading up the work on wet adhesives and coatings. Besides nanoparticles able to cross the blood brain and other physiological barriers, the group also studies mucoadhesion, as the mechanism by which mucus, found throughout the human body lining internal organs and openings likes the eyes and mouth, adheres to biological material like skin or muscle. This sticking power can be harnessed to improve drug delivery by increasing contact times and allowing greater control over release rates. The group's research portfolio also includes work on bioadhesives for use in dentistry, wound repair and surgery. NanosFun has been working in this field nearly as long as it has existed, and its findings help set the pace of European and international research. Testament to this is this month's workshop on Bio-inspired Adhesives and Functional Coatings based on Catechols, organised by the ICN2 in the framework of its participation in the European Network of Bioadhesives (ENBA).The two-day event brought together key representatives of the international biomimicry community to discuss state of the art and future directions in this vibrant field.